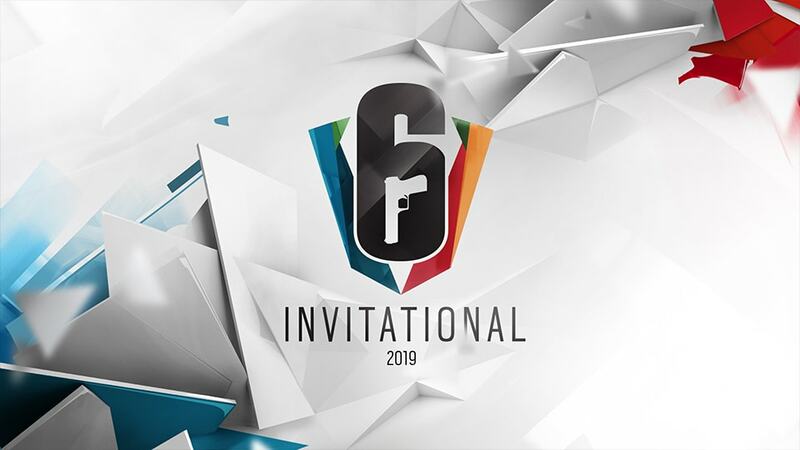 Whether this is your first time watching a competitive Rainbow Six event or you’re a longtime fan looking for more information, this is your go-to guide to the Six Invitational 2019! 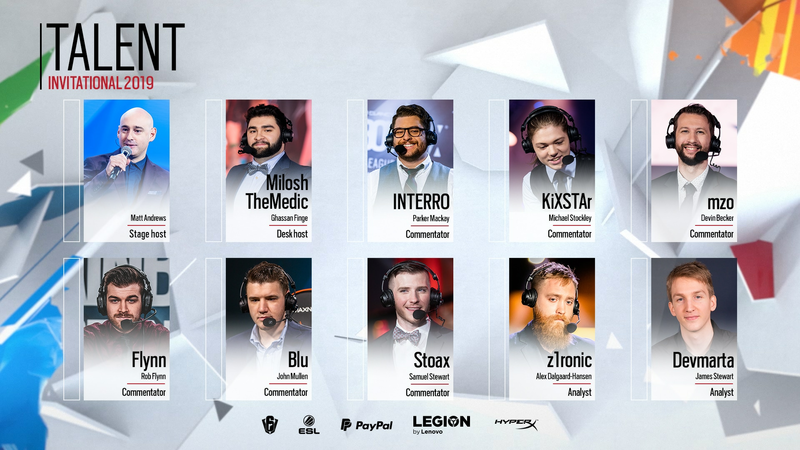 The third annual Six Invitational returns February 11th, 2019! 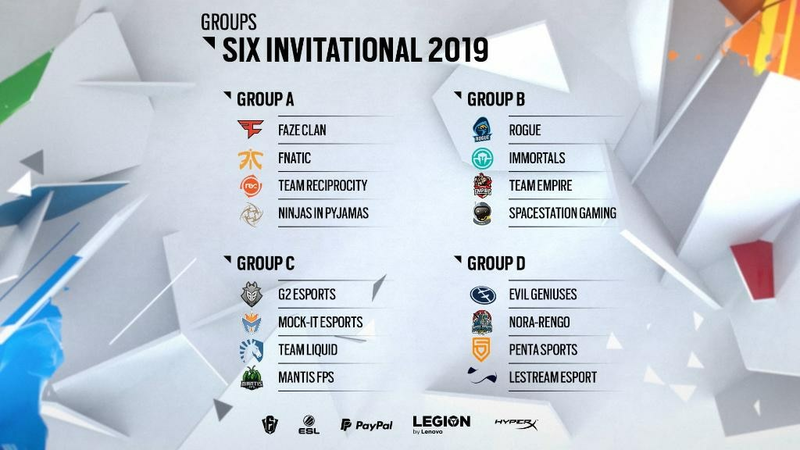 Our largest and most prestigious event of the year, the Six Invitational will feature the highest level of competitive Rainbow Six gameplay, as the top sixteen teams in the world battle it out for the title of World Champion and the biggest prize pool in Siege’s history. 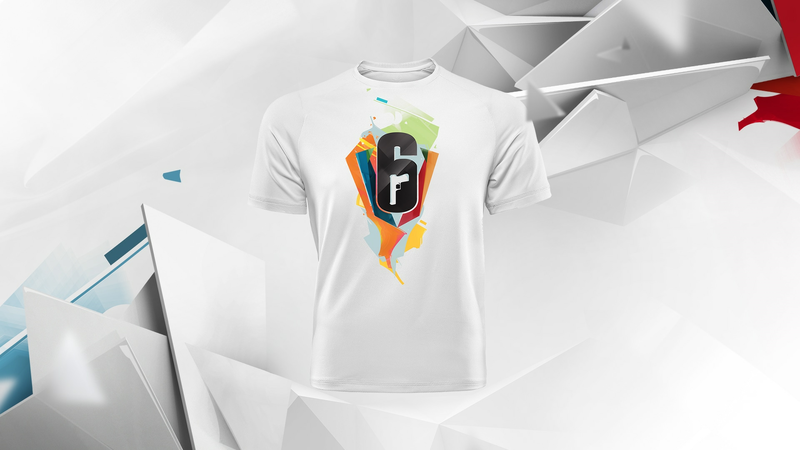 In addition to the biggest competitive event of the year, the Six Invitational is also the greatest celebration of our community, featuring a fan art gallery, epic merchandise, exclusive developer insights, and more! 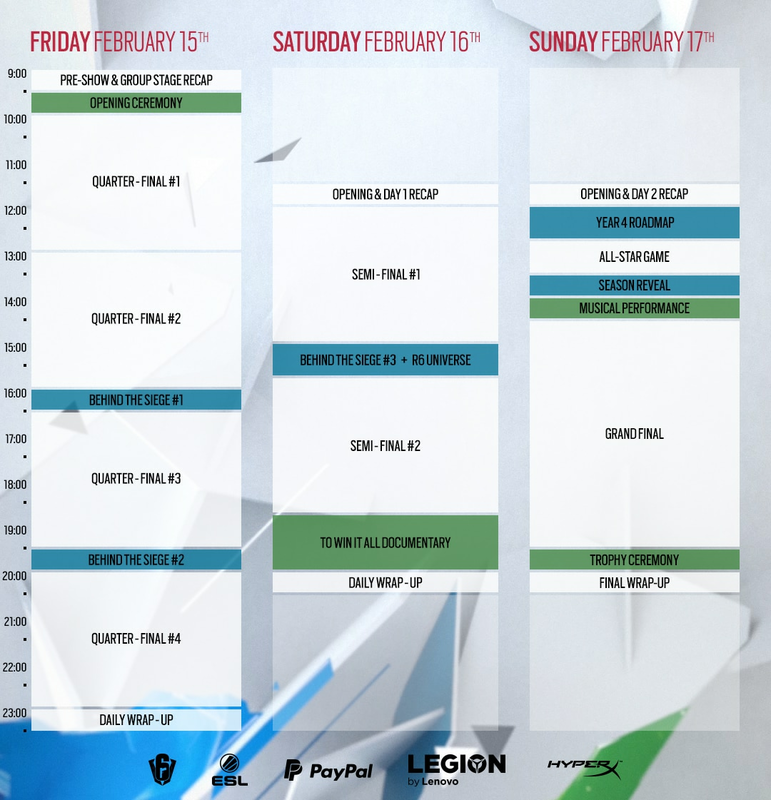 There will be duel streams on both day 1 and 2. Times will be the same on both https://www.twitch.tv/rainbow6 and https://www.twitch.tv/rainbow6bravo. More information on which games will be streamed on which channel will be released closer to the date of the event. Through the Pilot Program, we’ve been able to grow our prize pool substantially from the $500,000 that it was last year. We are happy to announce that the prize pool has been steadily growing since our last announcement of $1,000,000, and we will be capping the prize pool at a maximum of $2,000,000. This is made up from our base contribution of $500,000, plus 9% of the net revenue from Pro League items & 30% of the net revenue from the Road To Six Invitational. Any additional revenue beyond the $2M limit will be distributed across our other official esports programs. More details to be revealed at the Six Invitational! I’M WATCHING ONLINE, WHAT CAN I EXPECT? Like with previous events, we will be releasing six special charms for those who tune in during the Six Invitational! The more you watch, the more charms you’ll earn. The drops will begin during the main event on February 15th and run through the 17th, with delivery on the release of the new season; so make sure you’ve synced your Twitch account with your Uplay account to be able to earn the drops while watching the event. Be sure to register your account by heading over to https://drops-register.ubi.com/ and link your Twitch account to your Ubisoft account. You will then be prompted to opt-in to the drops feature. That is it, done! Head over to Twitch and start earning your rank. Please be aware that all earned rewards will be automatically added to your linked Ubisoft platforms. 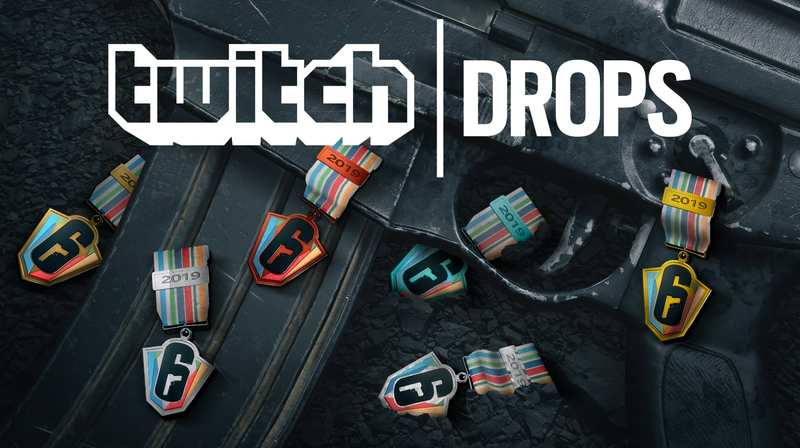 In addition, Twitch Drops are activated for all three platforms the game is currently available on: PC, PS4, and Xbox One, and you do not currently need to own Rainbow Six: Siege to be able to earn charms. If you have your Twitch account linked to your Ubisoft account, and your Ubisoft account has been linked with your console accounts or PC, then you will receive the charm when you login for the first time after installing. Note: You do not need to enter anything in chat to be eligible for the charms! I’M ATTENDING IN PERSON, WHAT SHOULD I KNOW? There will be metal detectors and a bag check at the entrance to the venue; every attendee will be subject to a search by security. Meet & Greet: Attendees will have the opportunity to experience meet and greets with their favorite teams and content creators throughout the event. Make sure to download the Mobile App to get the schedule. Master Class “Creating an Operator”: We will be hosting an exclusive master class on “How to create an operator” with our Game Director Leroy Athanassof and Game Designer Jean-Baptiste Halle. Spots will be limited, only 30 lucky few will be able to attend the workshop, which will take place on Saturday evening. The process to register unveiled soon, so stay tuned for more information. There will be a variety of shirts, sweatshirts, accessories, and more available for purchase, including some items from your favorite fan-artists! We’ll have an on-site demo booth with 30 pods, where fans will be able to try out the new season. There will be staff on-site from the dev team to accompany visitors. Please note that no pictures or videos will be allowed inside. We’ve set up a mobile app for those attending the event! The app will have the schedule for the entire event updated in real time based on match duration. You can set-up notifications for your favorite moments of the broadcast or for side activities such as meet and greets with your favorite players and creators! More information on the app, like how to download, will be available on Wednesday, January 30th. General admission tickets are still available, you can pick yours up here on the Ticketmaster website! To stay up to date with all of the latest news and updates during the #SI2019, be sure to follow us on Twitter. For up-to-date information on the bracket and schedule, visit our website. The Bunny Challenge and the Maverick Birthday Challenge start this week! The Y4S1.3 Patch will release on April 16th for PC and 17th for console. The Y4S1.3 Patch includes the Lion rework, Capitão V2 and a number of other balancing changes. Please check out our Designer’s Notes for more! © 2017 Ubisoft Entertainment. All Rights Reserved. Tom Clancy’s, Rainbow Six, the Soldier Icon, Uplay, the Uplay logo, Ubi.com, Ubisoft, and the Ubisoft logo are trademarks of Ubisoft Entertainment in the US and/or other countries. The “PS” Family logo is a registered trademark and “PS4” is a trademark of Sony Computer Entertainment Inc. Software platform logo (TM and ©) EMA 2006.